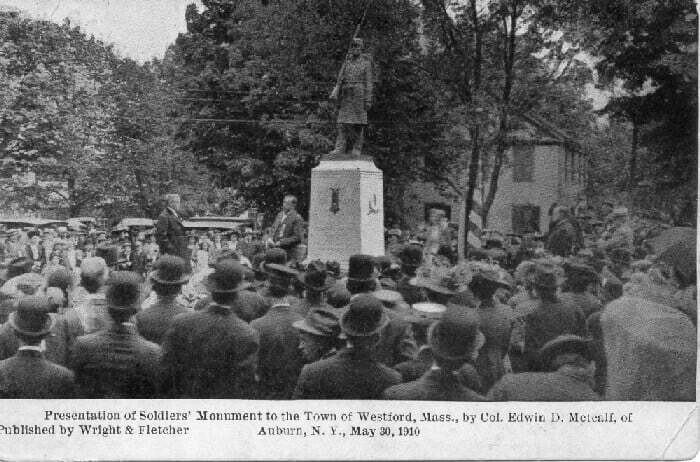 2010 marks the anniversary of the dedication of Westford’s Civil War monument. 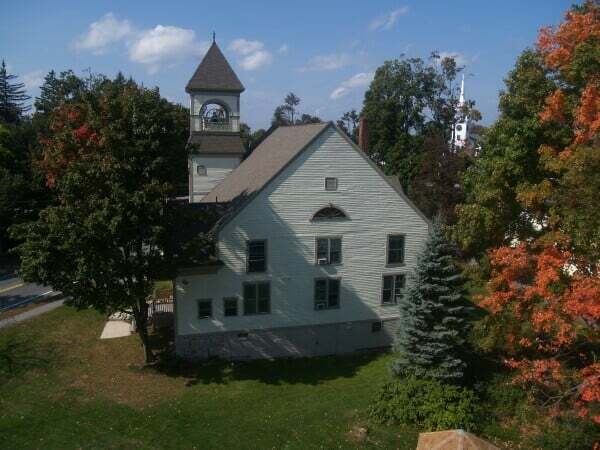 The Parish Center for the Arts and the First Parish Church as seen from high atop the Museum cuppola (2009). 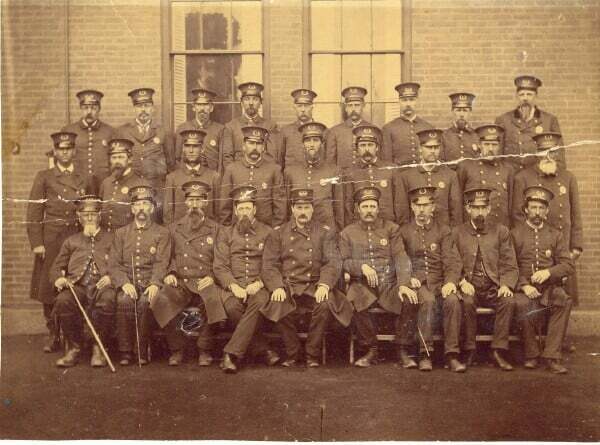 Civil War veterans. If you can identify any of these men, please contact us! 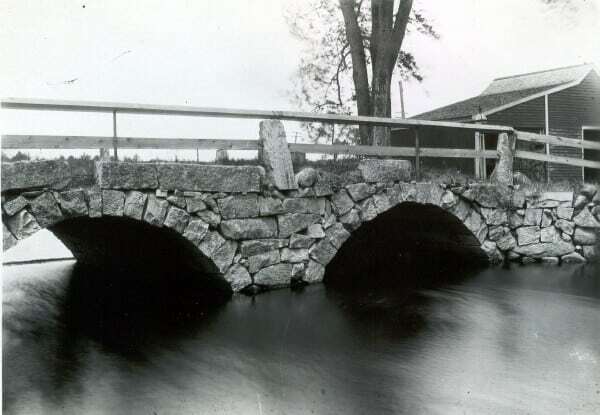 The old Westford Depot bridge (Depot Street). 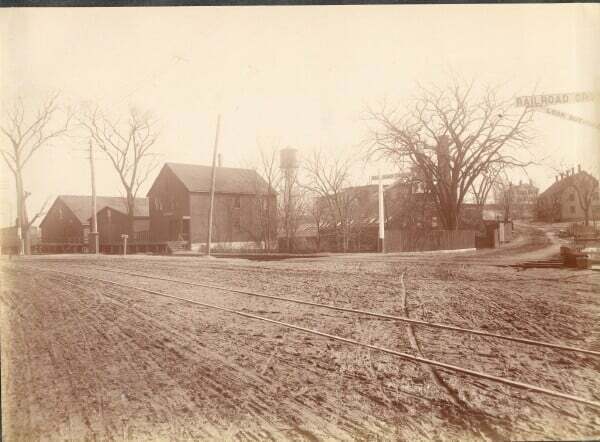 Forge Village, looking toward the Abbot Worsted Mill, early 20th century.